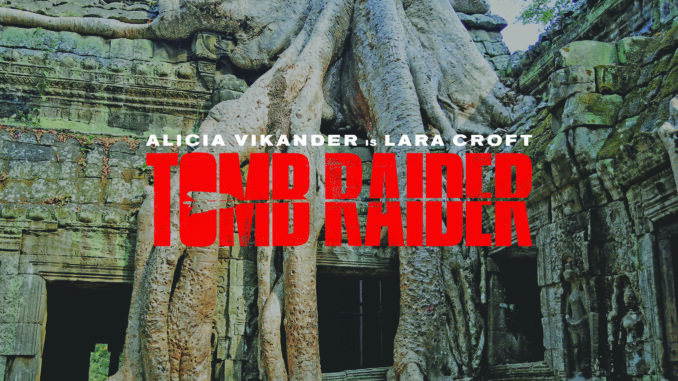 The new movie adaption of The Tomb Raider, starring Alicia Vikander, was released March 16, and since then has been a popular subject between fans of the beloved game series. As with all game-to-movie adaptations, there was much skepticism among both the fans of the old games released in the 1990s and early 2000s, and the fans of the newer games, the first of which was released in 2013. After the first trailer for the movie was released in 2017, it was apparent that it would be based on the newer games, with a similar plot line and props designed to imitate the animation. Down to the bandages on her arm and leg, actress Vikander was an exact replica of the 2013 Lara Croft. Many of the stunts seen in the movie were also taken directly from the game. Vikander delivers an action packed performance that includes Lara Croft getting beaten up, hit by a car and sent over a water fall, as all good action stars should experience at some point in their career. Perhaps surpassing many male led action films, Vikander has proven what many of us already knew to be true; women are just as capable of saving the world. “When it comes to the action Alicia is a beast,” said Daniel Wu, the actor playing Lara’s unlikely friend Lu Ren. Performing most of her own stunts, Vikander wanted to make her body look like it needed to look in order to do the intense action scenes. “I wanted her to be a strong, physical girl so I started to gain muscle and gain strength,” Vikander stated. Four months before shooting, Vikander began working with superhero trainer Magnus Lygdback, who is responsible for some well known on screen figures such as Ben Affleck’s Batman, Gal Gadot’s Wonder Woman, and Alexander Skarsgard’s Tarzan. On training Alicia Vikander, Magnus Lygdback said, “When you see her you can definitely tell that she is where she needs to be as Lara Croft, I think we’ve really built the perfect Lara Croft, physically, mentally, and she really does look amazing.” There is no way to watch Tomb Raider and not appreciate the amount of work that was put into making Lara’s body look not only good, but also capable. This uncommon feat made the role more unique in that the female lead was not overly sexualized, something that would have been easy to do because of the older game’s reputation. The old Tomb Raider movies starring Angelina Jolie are prime examples of a more typical action series with a female lead, and what the new Tomb Raider movie could easily have become. Part of the reason that the new movie turned out the way it did is due to the fact that it was based off of the 2013 and 2015 games where the animation is different and the personality of the character is a bit altered from the previous games. According to Square Enix, the next game in the Tomb Raider series, “Shadow of The Tomb Raider,” is in the making and should be out Sept. 14, 2018. Fans are looking forward to what new adventures await them in the new game. The Tomb Raider fan base has been alive and well for over 20 years, and now, due to the outstanding amount of effort put in by everyone involved in the making of this movie, it is thriving.